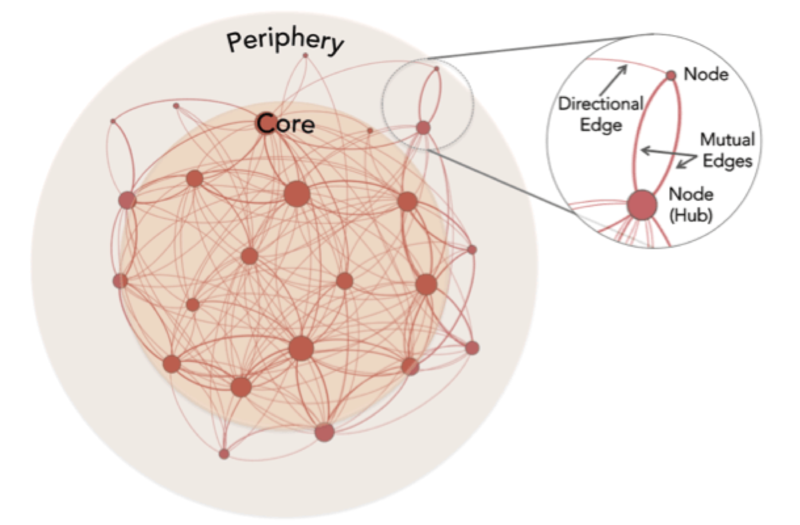 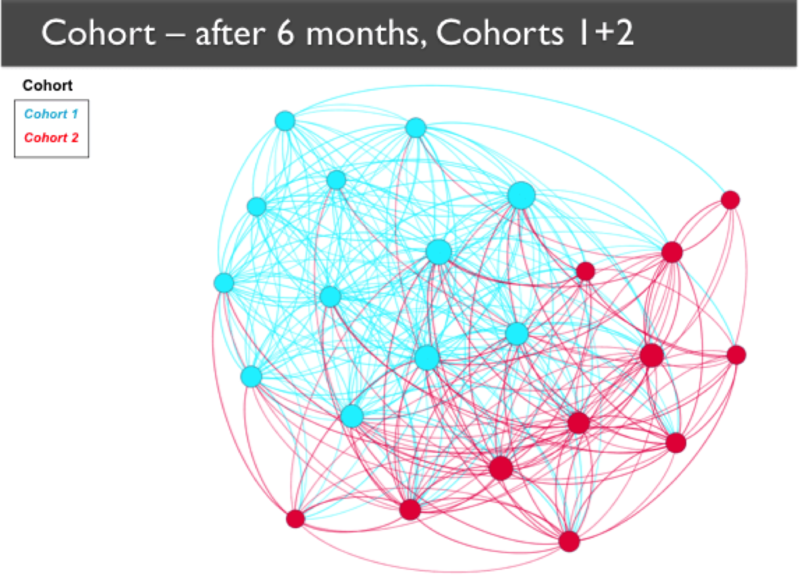 The effectiveness of any collaborative group — whether a network or an organization — is highly dependent on the quality of connections that exist between the participants involved. 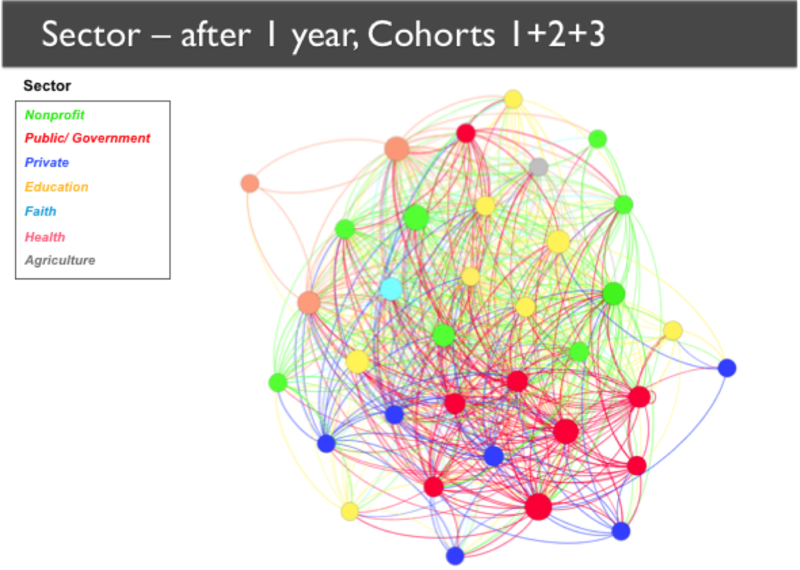 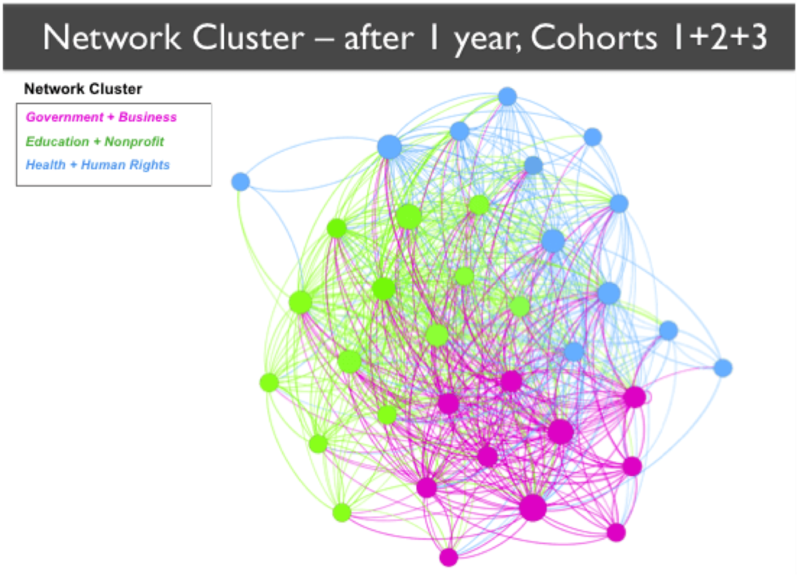 Social Network Analysis (SNA) is an important part of a network’s overall evaluation strategy, allowing us to measure 1) the depth of relationship between participants, 2) the frequency with which participants communicate with one another, and 3) the degree of collaboration between actors. 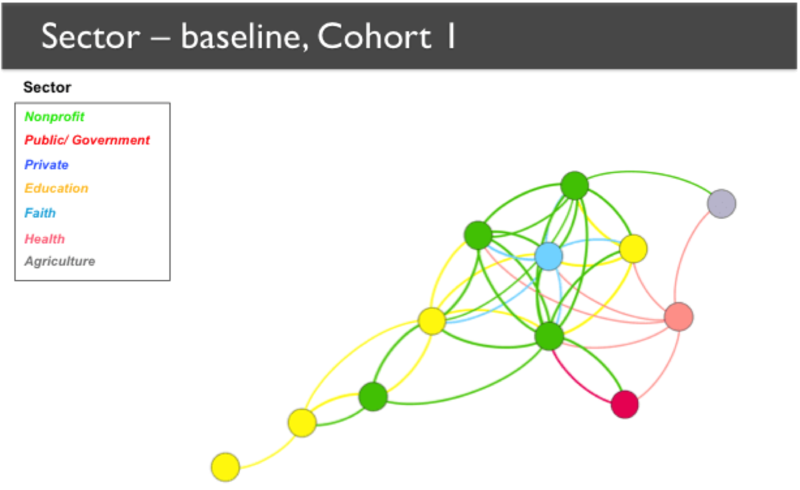 As long as you ask the right questions, SNA can help network coordinators to maximize collaboration across groups and to increase a group’s collective self-awareness and ability to recognize its automatic patterns of behavior. 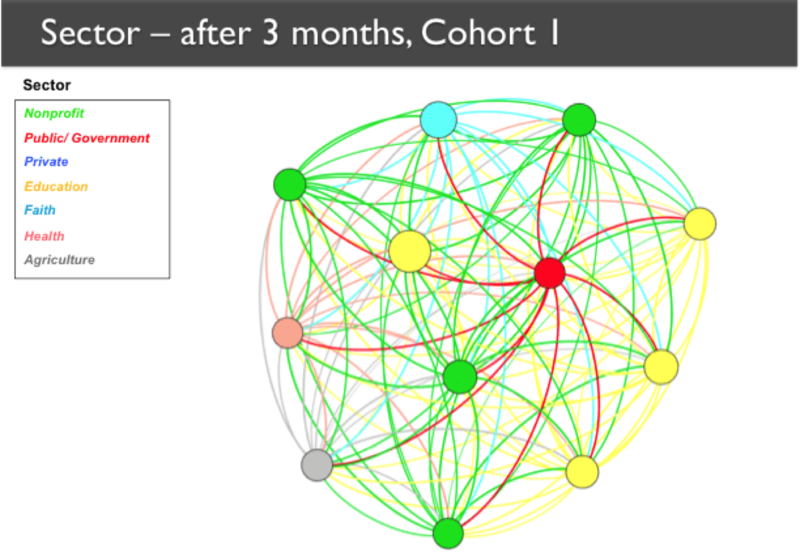 See our guest post on the Kumu blog to learn how to construct your SNA survey to capture meaningful data. 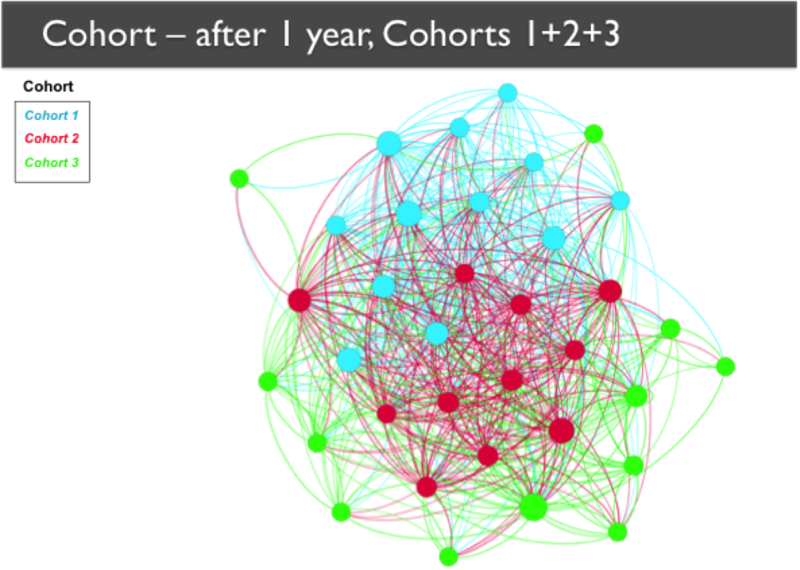 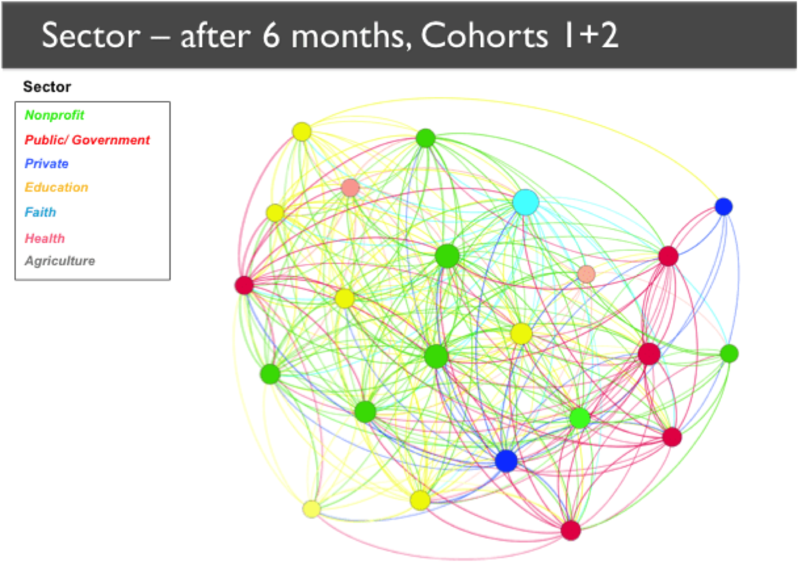 By graphing the strength and density of connections over time, SNA can evaluate the health and growth of networks far more effectively than raw numbers or first-hand accounts.